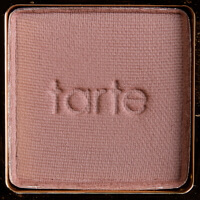 Tarteist Pro by Tarte is the eye shadow palette with 20 colors. 15 of them are matte and 5 are shimmery duo chromes. Overall consistency of these matte shadows is smooth and soft, yet these shadows feature minor dustiness. The shimmery shadows are denser and apply soft. Yet, we cannot say they are velvety or too dense. 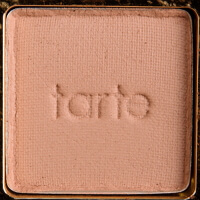 For the eye shadows to fully reveal the color on the skin, we recommend using a primer before applying them. 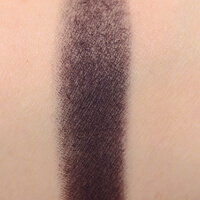 Also, we noticed that shadows wear way longer when used with the primer applied. Plus, they will not fade out quickly. If you still have not chosen the right primer, here are top 5 primers you may consider. This palette is permanent, not a limited edition, and is proudly made in the USA. 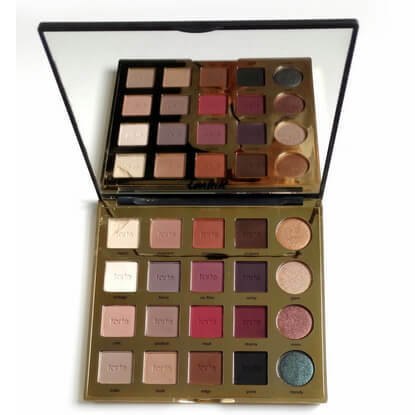 The palette features healthy ingredients and the shadows are based on Amazonian clay. 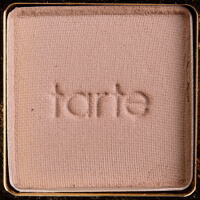 Mineral pigments used in the formula ensure easy blending and lasting wear, as claimed on the official Tarte web site. 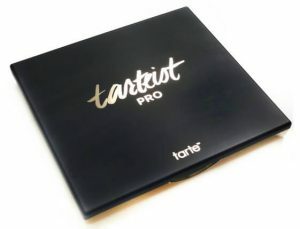 The palette comes in a big plastic case, like those Tartelette palettes, and has got a big mirror inside. The mirror allows seeing the entire face when you do your makeup, so it is a definite plus. The plastic is sturdy and matte on the top, while the bottom is shiny golden. The packaging looks and feels good, yet it is a magnet for dirty fingerprints you may leave on it when applying your makeup. Besides, it appeared quite difficult to remove stains from the matte top of the palette. The colors are picked this way. You can create a complete look with each horizontal row of eye shadows. These colors are made to easily blend with each other and the glitter on top is made exactly to match the matte colors in the same row. Rows 2 and 4 feature cooler undertone, and row 1 and 3 are warm. 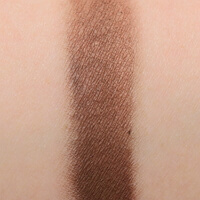 Overall, the colors appeared much pigmented, with the formula varying throughout the palette. 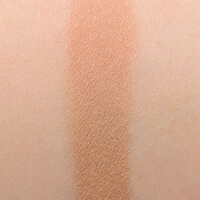 The texture is soft, yet the lighter shades feel softer and smoother, while the darker mattes appeared to be drier. 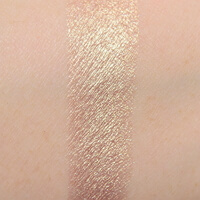 The shimmer shades feel creamy and soft with almost no fallout. 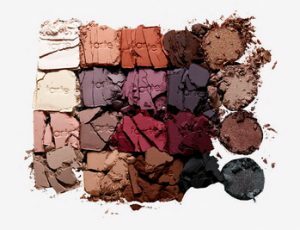 And the mattes have quite a lot of fallout, so you will find yourself cleaning the dust away from the palette when you will be doing your make up. Here is a quick description of every shade. We experimented with every color and checked how well it is pigmented, how long it lasts and whether it lasts long and blends well without a primer applied. Here is the resolution. Classic. This is a creamy light peach color, with warm yellow undertone and matte finish. The consistency is soft and silky, yet the touch is somewhat powdery. It wears for 8+ hours with the primer applied, and if used without the primer, over time it tends to darken slightly. Indecent. 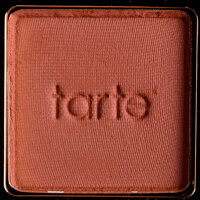 This a medium-brown soft peach color with warm rosy undertone. The finish is matte and the playoff is mostly opaque. 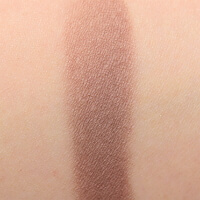 The texture is somewhat dusty, yet it adheres pretty well on the bare skin. 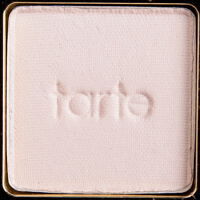 It wears for 7+hours on the bare skin and is easily blendable with or without the primer. Whimsy. This is a warm medium brown color with warm undertone, close to brick color. It features matte finish and extremely rich pigmentation. 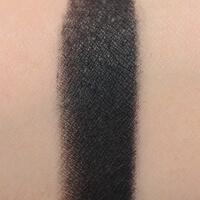 The texture is not powdery at all, and the shade easily blends. When applied on skin the shadow is silky smooth. The signs of wear appear in 7 hours. Smoked. This is a dark brown color with warm undertone. It features matte finish and is quite powdery. 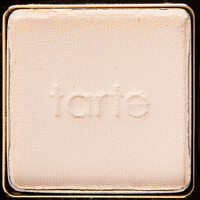 The texture is somewhat dry and the color looks patchy when used without the primer. We found it better to apply in sheer layers to gain that intense effect. The color itself is not very intense, compared to the other dark colors in the palette. Ethereal. 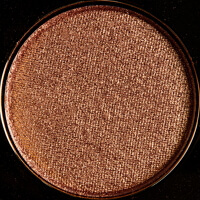 This is a rich bronze color with warm undertone and metallic finish. It is not a vivid duo chrome, and features metallic finish. The consistency is cream-like and smooth, yet is not too dense or thick. 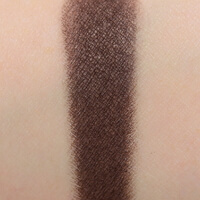 This eye shadow does not accentuate the lines of the natural lid texture and wears for 8+ hours. Vintage. This is a pinky ivory color with cool undertone. It features matte finish and opaque coverage. The consistency is silky-smooth, yet slightly dusty. It is blendable, yet sheers out to some extend when used without a primer. In seven hours it started to fade out. Fierce. 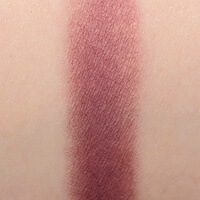 This is a cool plum color that is somewhat close to taupe. The finish is matte and the texture is dusty. 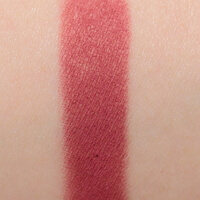 The shade sheers out easily, so it is fair to say that the pigmentation is rather medium. The color is easily blendable on the lid, and it lasted for 7 hours. No Filter. 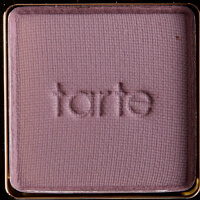 This is a muted purple mauve color with somewhat warm undertone. It features matte finish and semi-opaque color. 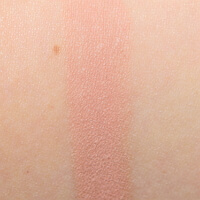 The texture is quite dusty and significantly drier, than the other matte colors in the palette. Fading becomes noticeable after 7 hours of wear. Vamp. 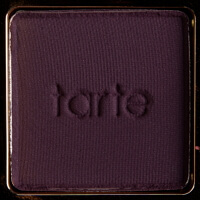 This is a blacked deep plum color which can be classified both as cool and neutral. The finish is matte and the texture is silky to touch. 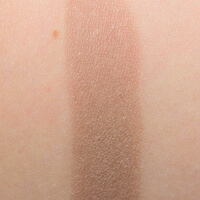 Yet, when it came to application on bare skin, the color appeared to be dry and patchy. 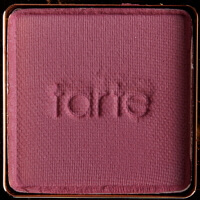 So we recommend using it with the primer to get that rich plum color. 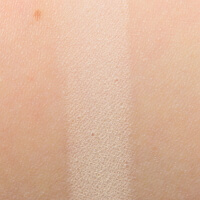 When used with the primer, it will still take some time to blend it, and avoid that patchy look. It is easier to blend with the other lighter colors of the palette. It lasted 7+ hours with the primer, before it started to fade out. Glam. 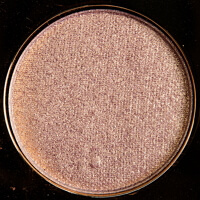 This is a golden champagne metallic color with warm pinky undertone. It definitely features slight shift to pink, rather than to gold when blended. The finish is metallic, yet when applied on the lid it does not really show that duochrome, as it rather looks gold. 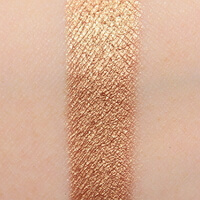 The texture of this shade appeared firmer, compared to the other shimmery shades in the palette. 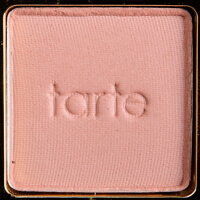 Yet, the texture is easy to apply and the pigmentation is opaque. The shade easily stays for 8+ hours. Chic. This is a pale pink color that is somewhat close to peachy. It features matte finish and pinky undertone. The color payoff is semi-opaque and feels soft. It blends out easily, and lasts for 7 hours. Profesh. This is a medium-dark taupe with warm undertone. 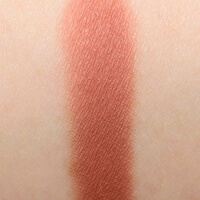 The shade features matte finish and good pigmentation. Yet, the payoff is rather semi-opaque and does not apply patchy. It blends quite well and starts fading after 7+ hours of wear. Mod. 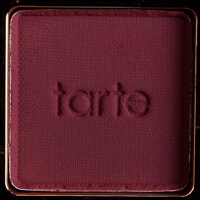 This is a deep cherry color with warm undertone. The finish is matte and the texture is quite powdery. Yet, it does not sheer out too much and blends easily over the primer. When applied on bare skin, it does not give that rich pigmentation. It wears for 7 hours before the fading out starts being quite noticeable. Drama. This is a maroon deep plum color with warm undertone. It features matte finish and medium coverage. 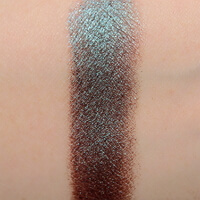 The consistency is noticeably drier, than in the majority of eye shades of the palette. 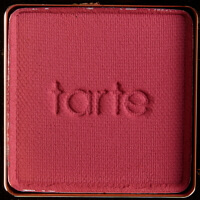 The texture is difficult to blend, and when applied on the bare skin, it gives uneven patchy color. It lasts for 7 hours over the primer. Minx. 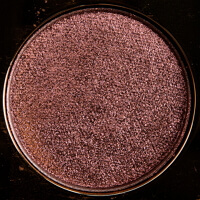 This is a shimmering mauve color with warm undertone and shimmery metallic finish. It features excellent pigmentation and smooth texture. 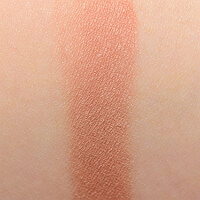 The color is easy to blend and it perfectly applies both on the bare skin and over the primer. It lasts over 8 hours without signs of fade. Indie. This is a warm greige color with brownish undertone. The finish is matte and the texture is soft and silky. 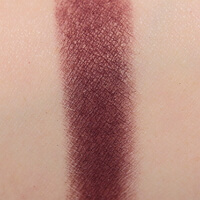 Though, it features that dustiness, yet the color is quite pigmented. It’s fair to say that it’s semi-opaque. It wears for 7 hours before fading becomes noticeable. Bold. This is a light brown color that features warm undertone. With the matte finish and opaque payoff it is quite soft and blendable. 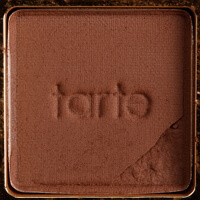 It may be used as the basic color for many make ups, as it easily blends with the majority of other colors in the palette. It stays for 7+ hours. Edgy. 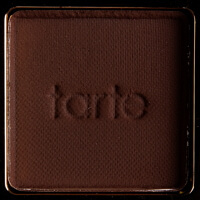 This is a chocolate color with warm undertone. It features matte finish and somewhat powdery texture. It does not adhere well to the bare skin. So we recommend using it over the primer for that semi-opaque and non-patchy coverage. It stays for 7+ hours before fading out. Punk. 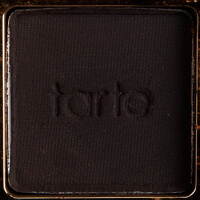 This is a matte black color, which does not apply patchy. It is easy to work with, despite of that somewhat dry texture. 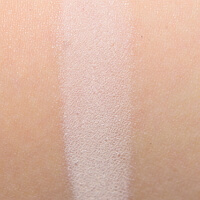 The pigmentation is very good and the shade is blendable both over the primer and on the bare skin. It stays for 8+ hours without showing signs of wear. Trendy. 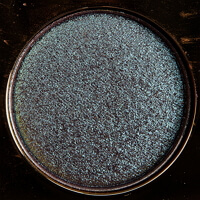 This is a prismatic teal color with warm brownish undertone. The finish is shimmering metallic. 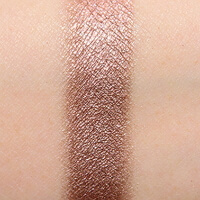 The texture is somewhat drier than the other shimmer shades in the palette. 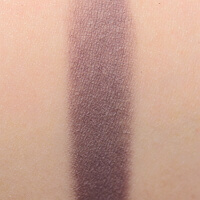 You will need to put some effort to blend out this color, though it does not fade out even after 8 hours of wear.